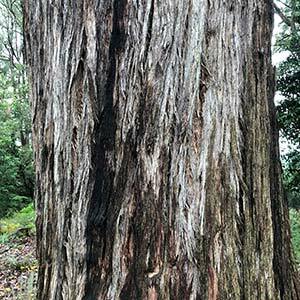 Stringybark trees include a number of Eucalyptus species in fact around 20 species are classified as such. These are a widespread group of trees, characterised by rough string bark as the common name suggests, however many are difficult to distinguish form one another. A few species outside of the group also have similar bark, the most common being E. obliqua which is classified as a messmate, along with the peppermint eucalyptus and mahogany eucalyptus. Stringybarks alone with some other species also provide habitat for native orchids, some of which, such as Dipodium rosem rely on the presence of the tree and the the fungi that lives around the root system to survive. The leafless orchid is a classic example. The wood from stringybarks is valued as timber. Fine straight grain, sometimes interlocked differs in colour depending on the species. It is used widely in construction including framing, flooring and joinery. Below is a list of Stringybark species with common names where applicable. Some argument exist as to if some should be classified as messmate. Eucalyptus obliqua – The messmate stringybark. E. boliviana is a relatively newly named species, known as the Bolivia Hill Stringybark. E. camfieldii – Heart leafed stringybark. E. cameronii – Diehard stringybark. E. eugenioides – Thin leafed stringybark. E. sparsifolia – Narrow leafed stringybark. E. cephalocarpa. Silver-leaf or Mealy Stringybark. 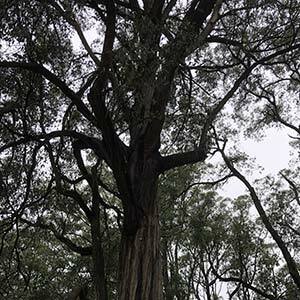 It is only the smooth barked Eucalyptus that are known as gums, the others fall into different categories, stringybarks, box, messmate, peppermint and so on.